BALANCE + CLEAR YOUR ENERGY + IMPROVE YOUR LIFE. HEALTH + HAPPINESS GOES WHERE ENERGY FLOWS! Energy is everywhere. The body is a whole being, including the energy surrounding it & running through it. We ARE energy. Our energy creates our reality. I use energy clearing to Shift. Open. Align + Balance the energy in the body. I teach you how to clear your own energy, and start living the life you want. This is a program for Empaths, Sensitive Souls, Light Workers, Healers & Introverted Entrepreneurs – anyone who feels drawn to mastering their energy. You may just be starting out, and know that you can feel energy, or you may wish to learn how you can protect your energy if you are feeling overwhelmed with other people’s feelings & emotions. I will be teaching you how to get in touch with and understand your energy, and how to use it each day for your highest good. To be able to flow with it + bring positive change into your life. You are a sensitive soul, an empath, struggling to feel balanced and feeling tired and overwhelmed a lot of the time. You wish to learn how to clear, protect and balance your own body’s energy. You are feeling disconnected and out of balance. You are feeling blocked, stuck and a little lost. You want to feel more positivity in your life. You know that clearing old patterns, beliefs and fears will stop you from feeling held back. Your mind is in overdrive & overwhelm. You are not manifesting the things you desire no matter how hard you try. READY TO EXPERIENCE ENERGY HEALING THAT CAN HELP CLEAR THESE ENERGY IMBALANCES AND BLOCKAGES. Home, Family, Foundation, Security, Safety, Fear, Beginnings. Are you creating what you desire? Do you feel grounded and centered in your life? Location: Below belly button. Reproductive centre. Desire. Passion. Emotions. Relationships. Sexuality. Reproductivity. Creativity. Are you manifesting your desires? Are you connected to your creativity, your passion + purpose? Power centre. Action. Will power. Drive. Confidence. Do you have the drive in your life to follow through with your goals? Are you confident in the action you take? Self Love. Compassion. Giving + Receiving Love. Harmony. Peace. Are you happy with your relationships? Are you feeling full of love and living in the now? Truth. Voice. Authenticity. Communication. Expression. Clarity. Faith. Do you speak your truth? Do you speak up for yourself and express your true self? Location: Between eyebrows. Pituitary Gland. Guidance. Intuition. Knowledge. Dreams. Manifestation. Are you connected to your intuition? Do you trust your intuition? Can you make decisions with confidence? Connection. Purpose. Wisdom. Enlightenment. Expansion. Spirituality. Higher Self. Are you at peace with your life? Do you feel connected to your purpose? Do you trust you are on the right path? Balance the Chakras & let more light in! This is an 8 week program, focused on balancing the chakras. The Chakras are energy centers that run through the body and play a BIG part in our health + happiness. This program teaches you how to balance and clear the energy in your body through the Chakras. In each session we will focus on one of the Chakras, to bring it into balance, work out if is under or over active, and what affect this is having in your life, physically and emotionally. Our Chakras are a fantastic tool to tune into our body and energy field and find out the root cause and what we need to do to heal and flow. The chakras are linked to our relationships, career, finances and our physical and emotional body. Having balanced Chakras means you energy is flowing correctly, which reflects in your life as true health, and a fulfilled happy life. This program is to teach you how to balance your own body’s energy; clear blocks and feel empowered and connected. To help you reach your highest potential. I will teach you how to recognize your body’s messages through energy and the chakras, so you have a tool you can use forever, to bring balance back whenever you need. 8 x Reiki Energy Clearings – A weekly Reiki Energy Clearing for each Chakra. Worksheets to follow after each session. Email support with me inbetween sessions and through the program. 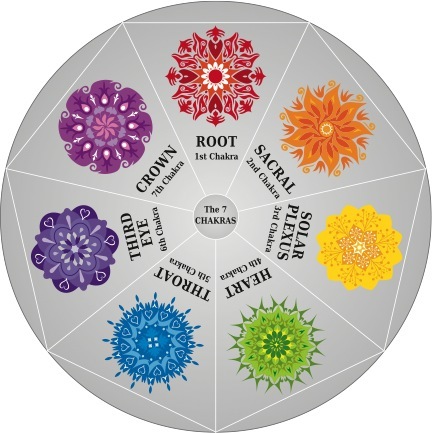 What is a Chakra and how to locate them. How to protect your own energy and feel grounded. Yoga posture’s + other exercises to balance each chakra. Learn how to connect and balance the Chakra’s energetically yourself. Awakening your creativity, abundance + true health using the chakras. The symptoms of Chakra imbalance and how to bring back balance and flow. Nutrition advice for Chakra health.